Welcome back crafters. 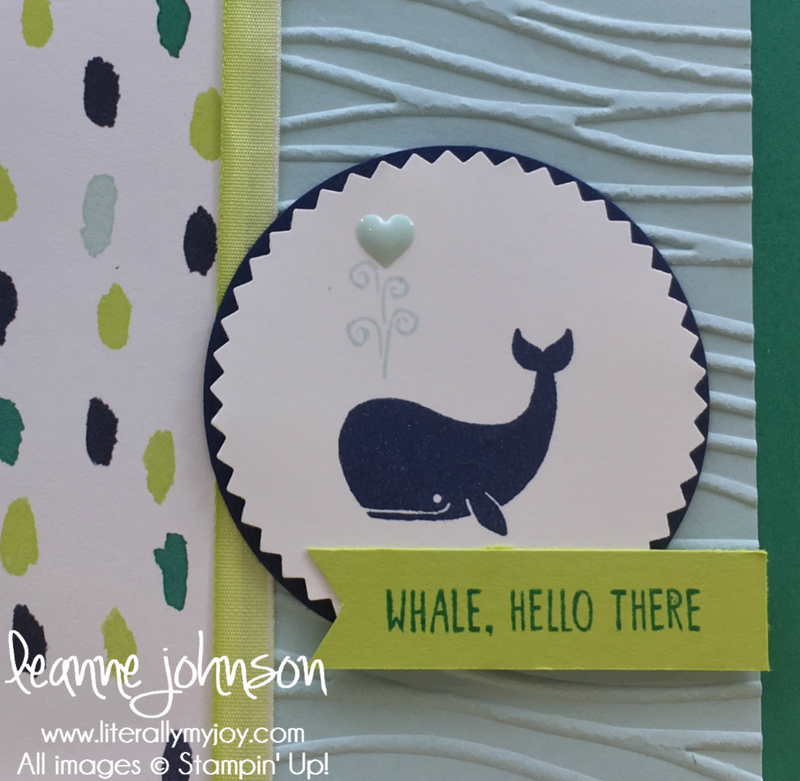 I was thinking of Finding Nemo when I was creating this punny card. Ellen DeGeneres is hysterical playing Dory and speaking in whale to help locate Nemo. 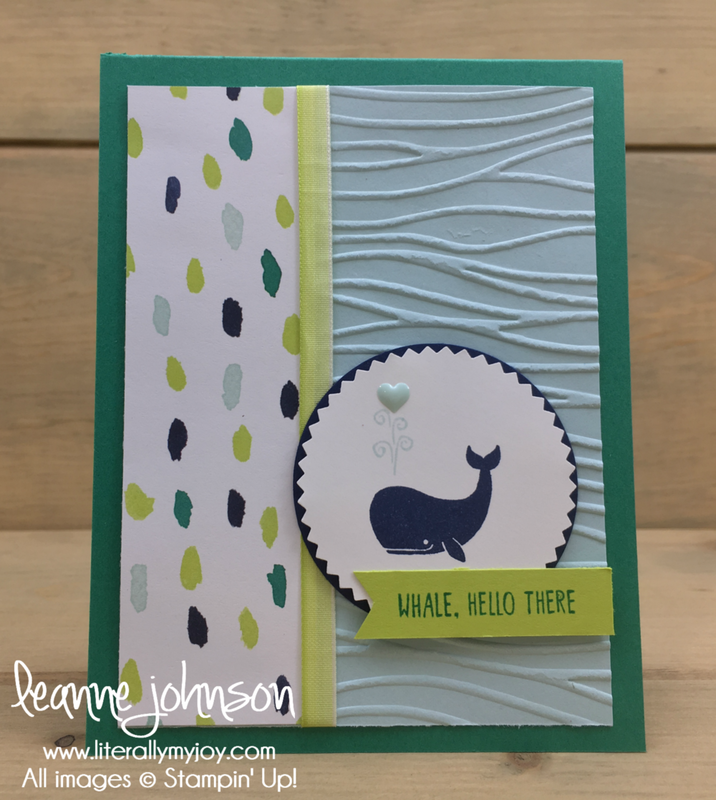 The colors and textures make the card a whaley fund card. Ha! I can hear Dory speaking whale. Click the photo(s) below to purchase the products used to create this project directly from my online Stampin' Up! store. Click to find your host code for your party. Do you have an order less than $150? Cannot Wait for your emails! Thank you for subscribing! I cannot wait to share my creations with you. As an independent Stampin' Up!® demonstrator, all of the content on this blog is my sole responsibility and the use of and content of the classes, services or products offered is not endorsed by Stampin' Up!®. 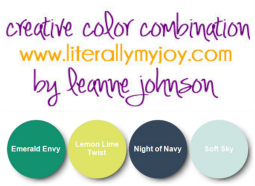 The contents of my blog are my own and © Leanne Johnson and as such may not be copied, sold, changed or used as your own for contests, profits or otherwise without my permission and is here solely for the purpose of inspiration, viewing pleasure and enjoyment. Thank you for understanding.